It is a business plan that addresses the key issues; one that starts from the “less is more” way of thinking. Long gone are the days when a business plan was evaluated by weight. 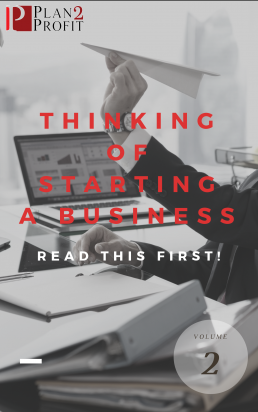 It is a well-written strategic document that not only provides you the means to acquire funding for your new business but proves that your business idea is viable and sustainable. So what are the 5 things that Lenders are looking for in your Business Plan? A well-defined concept that is more than a big idea. Nothing kills a new business idea faster than wishy-washy numbers. The financial forecast “proves” your concept and is the cornerstone of the “new” business plan. There is no room for guesswork here or some generalized statement of revenues and expenses. Instead, your forecast is essentially your first year’s profit and loss statement generated before you have a spent a dollar on your business. Your forecast needs to have revenue projections, and a detailed summary of cost of goods sold, labor costs and all other expenses. These are costs that you incur in setting up your business. You need to know these expenses so you can accumulate the necessary funds with which to start your business. If you have $30,000 set aside for opening and it really costs you $50,000, where is the extra money coming from. These costs include everything from marketing to launch the business to capital improvement costs of renovating a space to accommodate your concept. Be accurate because if you overspend on opening your business, your operation will be crippled going forward trying to pay off the opening costs with profits generated from the operation. A marketing strategy that meets the revenue outlined in your forecast. If you need to generate lots of sales to meet your revenue projections; then you are going to have to spend a good amount of money on marketing. How you allocate your marketing dollars is very important. Before you get into where or how to market, you need to know who to market your business to. If you don’t know who your target customer is, then everything you do is in vain. This means you need to be able to describe who the end user of your product or service is and once you have done that, you need to figure out what these people want or need. Who is on your team is as important as who you are. It speaks volumes about you. The lawyer, accountant, banker, business coach, they are all necessary players on your team. They all have something to contribute to your business success and although you don’t necessarily need them all right now, one day you will. Identifying these players now will save you time and money in the future. It also gives you insight as to whom you can lean on. After all, good teams help each other out. Think about it. You are going to have questions or encounter scenarios that you can’t answer. Are you going to set yourself up as a sole proprietor or as a corporation? Who is going to review the leases you have to sign? Do you need to set up a line of credit? Is there a better way to do what you are thinking of doing? All these types of questions can be answered by members of your team. They will offer invaluable insight, help keep you grounded and make you look better. That’s what they are there for. There you have it, the “new” Business Plan. Sure it isn’t as heavy as the “old” plans were but it doesn’t have to be. It has all the things that you need to have before you move forward in business. That’s why you draw up a plan in the first place.